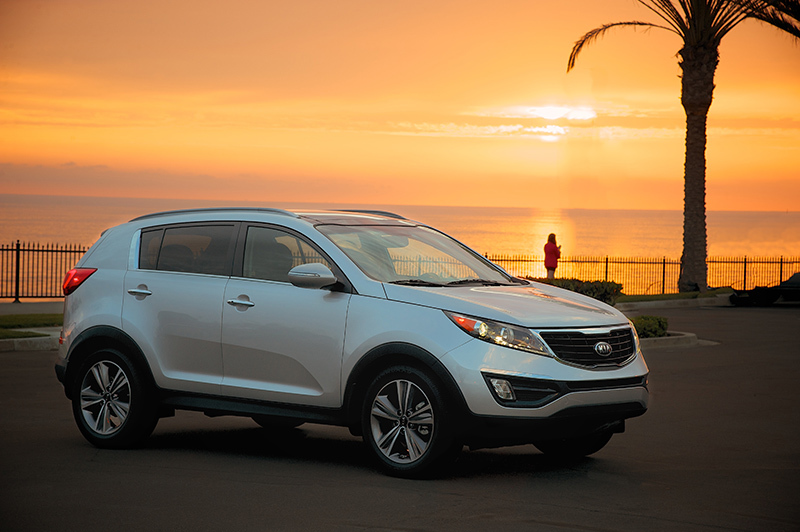 The 2015 Kia Sportage continues to offer an impressive feature set, robust performance and modern styling. 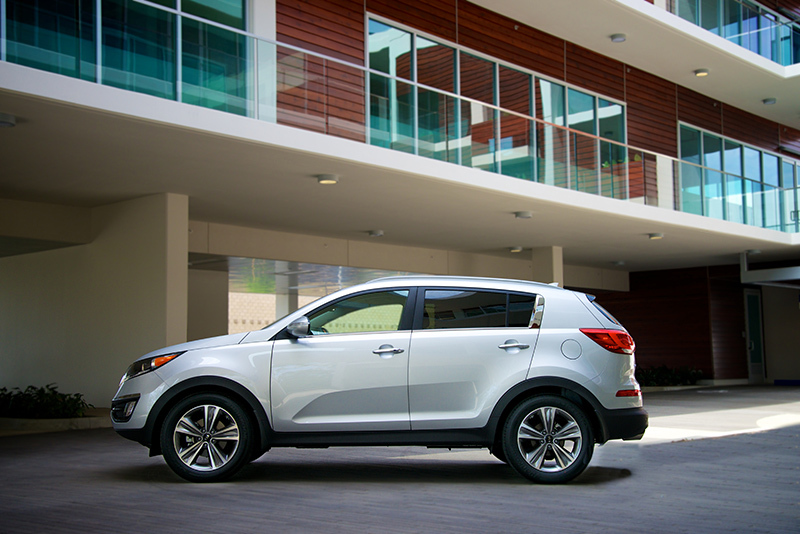 Recently recognized for the second consecutive year as the top-ranked small CUV in J.D. Power’s Initial Quality Study (in a tie), the Sportage carries over from a year of updates, including notable exterior revisions and a variety of comfort and convenience enhancements. The Sportage is offered in three trim levels– LX, EX and SX– and offers two powertrains: a 2.4L GDI I4 (LX and EX) and a 2.0L Turbo GDI (SX). In terms of technology features, consumers will find that all trims of the 2015 Sportage offer Apple®4 USB compatibility. Standard on the EX and SX models and available as a package on LX, the UVO5 system utilizes the advanced eServices telematics suite enabled by an exclusive, free smartphone app that provides drivers with an innovative in-vehicle connectivity experience including diagnostics capabilities and added convenience features. UVO is short for “Your Voice” and promotes driver convenience through Advanced Voice Recognition technology, which allows consumers to control music and mobile phone operations while keeping their hands on the steering wheel and their eyes on the road. 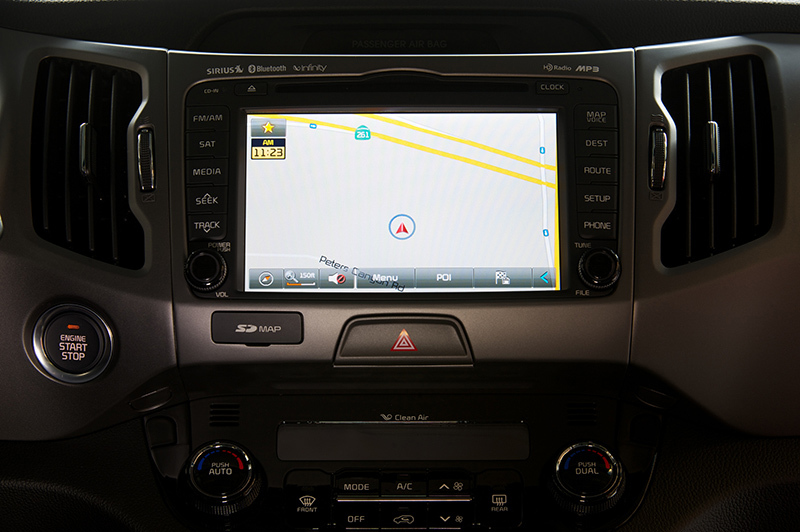 When equipped with UVO eServices, the 2015 Sportage also features a Rear Camera Display and auto headlamp system.